It’s not just a floor. It’s not just tile, laminate or carpet. You’re looking to create an environment. You’re looking to make a space yours. We understand that at Beck's Floor Installation's. You can trust us with your flooring needs. 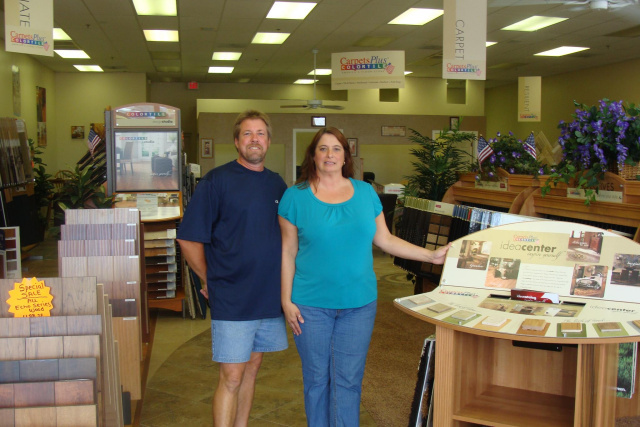 Founded in 1979, our family-owned business has a long history of providing exceptional floor coverings and services to our customers all throughout the East Valley area. For more than 35 years, our flooring company has strived to build a genuine rapport with our customers by constantly giving them top-of-the-line selection and service. We offer a wide variety of quality flooring options and provide the means to professionally install them in your commercial or residential space. Beck's Floor Installation's offers on site shopping. We will bring samples to your home or business so you can see for yourself how the products will look in your own surroundings. We service Mesa, Gilbert, Chandler, Tempe, San Tan Valley, Queen Creek, Scottsdate and Gold Canyon AZ. We provide all types of vinyl, laminate flooring, hardwood flooring, residential or commercial carpet, ceramic/porcelain tile along with our professional installation. Installation - Allow us to install your flooring for you. We specialize in residential and commercial flooring. Our expert installation crew has years of experience, which ensures that the job will be done well. Free estimates- We provide customers a free comprehensive estimate for their flooring installations. We want to do a good job for you and charge you a fair price for it- no surprises. Contact Beck's Floor Installation's, your East Valley flooring company, to see what we can do to make your floor shine! We carry major brands - Please see Our Services page for more information. "Beck's Floor Installation's - You Will Love Our Work!"